Last night the Pittsburgh Penguins lost to the St. Louis by a score of 2-1. Lets be honest. Though two of the best teams were involved in what some predicted could be a Stanley Cup final this season, this was not even a decent playoff game (though the winning goal might have made it look like one but we will get to that later). Instead of a top team battle we witnessed a game as exciting as watching paint dry. Wait, we aren't in Philadelphia? 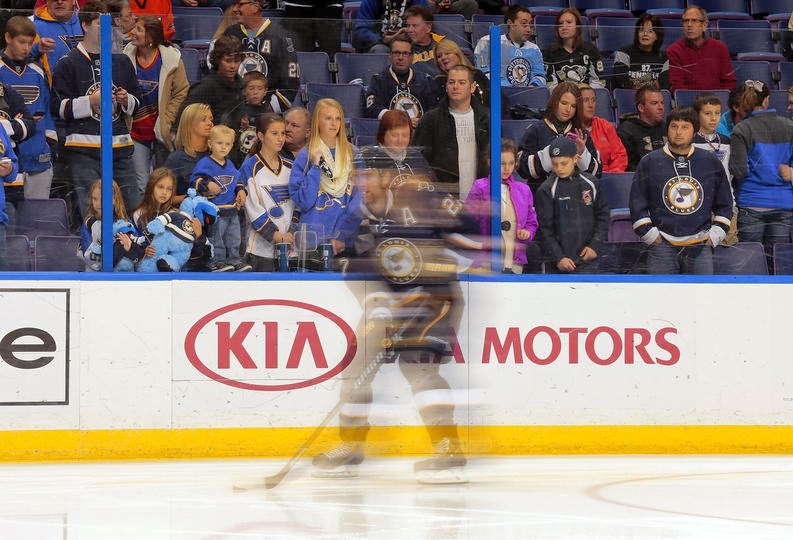 Before we get into the game, lets check out some notable pictures from NHL.com..
Only cameras could capture the 6th skater on the ice.. Fans see nothing. 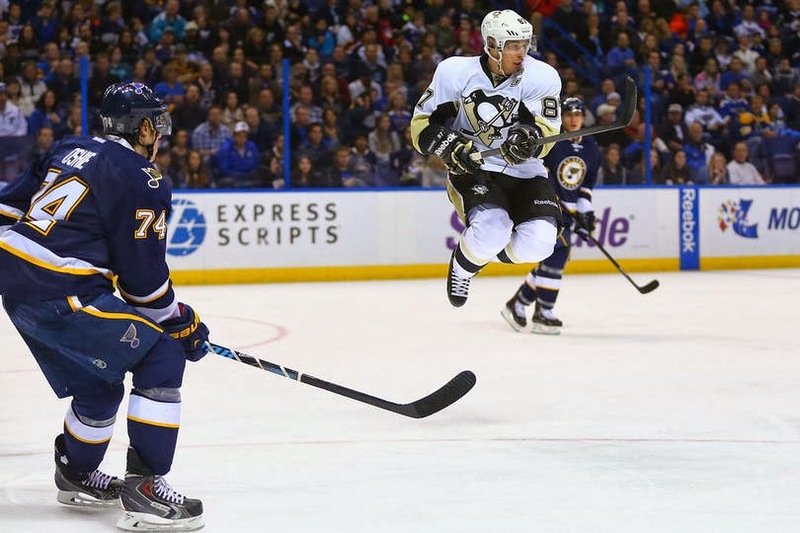 Sid feeling inspired by his favorite Kris Kross song. Didn't former WWF tag team The Nasty Boys use this as a finishing move? Tell me they don't look like Zombies..
Of all the periods this one seemed to be the most evenly matched for the most part. Though goalless, (not scoreless, the score was 0-0) Pittsburgh managed to leave the period evenly matched and both teams split 18 shots on net. Speaking of 18, NEAL WAS BACK! 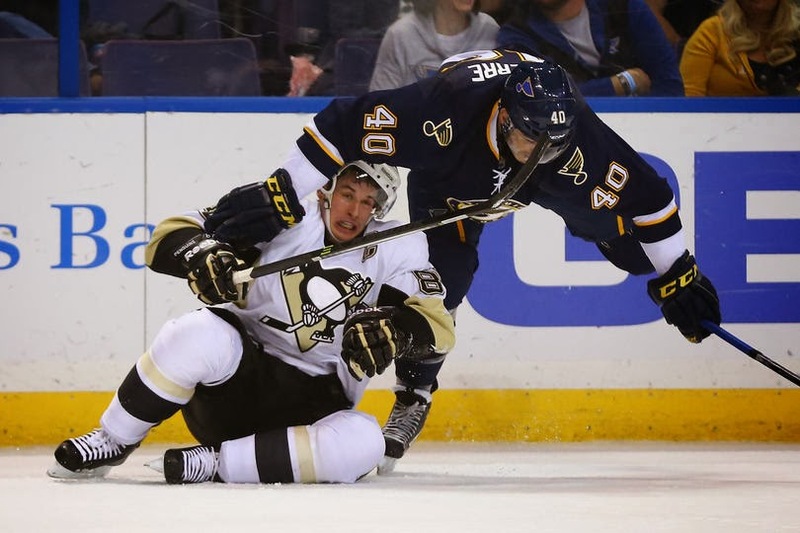 Other then a fighting major between Deryk Engelland and Ryan Reaves 3 seconds into the game, the only penalty was taken by Evgeni Malkin in the last minute when he took a boarding call after hitting Vladimir Tarasenko in the numbers. The penalty would be carried over into the second period. Other then a couple penalties and a couple misconducts being handed out that was about it for excitement in the second period. 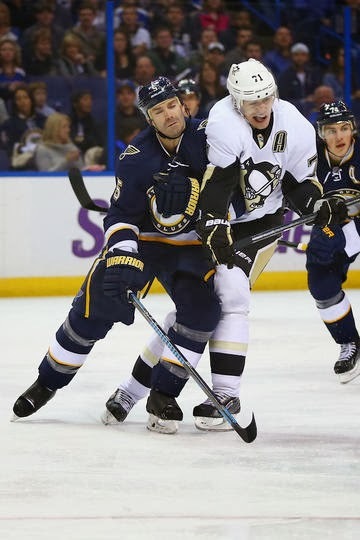 Though even on the score board, the Blues had the edge this period out shooting the Penguins 11-6. 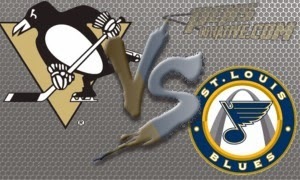 We were outshot 12 to 5 this period and the only penalty call went to Sid who took a bad hooking call shortly after St. Louis scored their 2nd goal. Though this may have been a game comparable to watching "paint dry" this was a game that was played the way St. Louis wanted. They out shot us, were taking the puck away from us easily and winning more faceoffs. It happens. Lets hope for a better effort next game. Speaking of next game, and paint dry. Out next game is this Wednesday when we host the Flyers. So we can assume this will be a little more exciting to watch, even though the Flyers are an awful team.. One concern going into this game is the 3 day break. Last time we had that many games off we were DESTROYED by the Rangers. Lets hope that we look stronger this time otherwise it is terrifying to think of how this team will be following the Olympic break. Though we only had two chances, we were %50 on the power play and let no goals in shorthanded after 3 attempts on the power play for the Blues. Kris Letang played almost 30 minutes... Ya.. Orpik logged the second most playing 23. The Pens gave the puck away 3 times, 2 by Letang. Crosby was %59 on faceoffs. Fleury saved all 6 shots when short handed. Don't follow @ryannoble66 on Twitter! He is over followed as it is.